Published: March 5, 2013 at 02:02 p.m. Updated: March 5, 2013 at 02:10 p.m. Happy birthday to Michael Irvin, who turns 47 on Tuesday. Incidentally, Irvin wore No. 47 at the University of Miami. So to celebrate the birthday of "The Playmaker," here is the definitive list of the greatest playmakers in NFL history. And yes, I probably forgot your favorite player. But get over it. That's right, kickers don't often get a lot of respect for being playmakers. 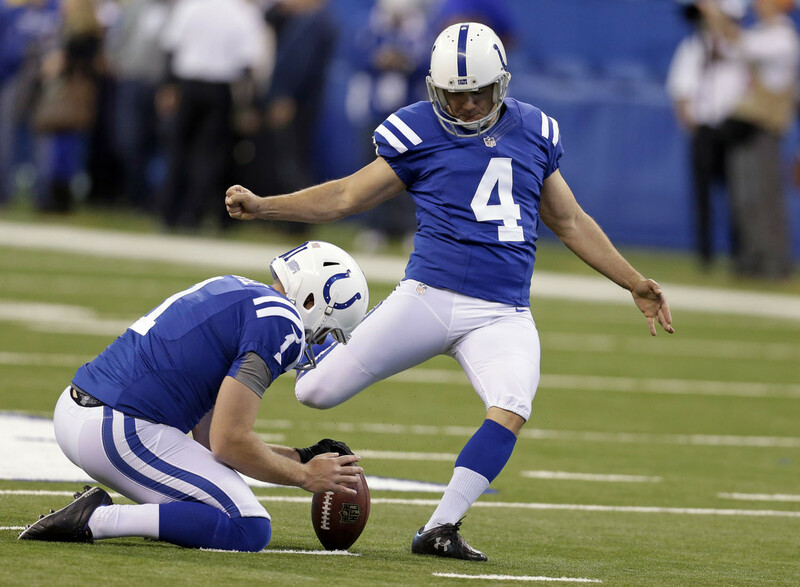 However, if there is one kicker who is seemingly revered by nearly everybody in the league, it's Vinatieri. Whenever the Baltimore Ravens need a big play on defense, why does it always seem like Reed makes it? Well, probably because he does. Reed is a three-time interception leader (with 61 during his career) and has returned 13 interceptions for touchdowns. And yes, I realize if I didn't start this list off with two people you've heard of, most of you would have bailed by now. Cunningham took the NFL by storm in the late 1980s and was one of the biggest threats to run or throw the ball in NFL history. But he had another wrinkle to his arsenal, too, as he was an above-average punter dating back to his career at UNLV. In fact, Cunningham booted a 91-yard punt in 1989. Hester is a threat to go all the way every time he touches the football, and is widely considered the most dangerous returner in NFL history. And he's got evidence, as Hester holds the NFL record with 18 kickoff/punt returns for touchdowns during his career. Allen was considered one of the most exciting players near the goal line and one of the most prolific scorers in NFL history. But he also could break off the big one, too, as witnessed by his 74-yard touchdown run in Super Bowl XVIII. It might not be fair to give Jackson some extra consideration because of his ability to drive the baseball, but who said that making lists was fair? Jackson was able to do it all. He ran over people, ran through people and even said he would run over his own mother. Prime Time! Sanders was one of the most electrifying defensive players during his career. And heck, if Jackson gets credit for his baseball prowess, don't overlook the fact Sanders led the National League in triples in 1992 (14). Although, he might want to watch his back because that Leon Sandcastle is gaining. With your team trailing, it's hard to think of another quarterback you would want out there making a play than Montana. From "The Catch" to the drive for victory in Super Bowl XXIII, no other signal caller matches Montana. Taylor isn't arguably the greatest defensive player, but perhaps the greatest player in NFL history. His devastating strip-sack fumbles became a thing of legend once he stepped on the field as a rookie in 1981. Taylor's greatest season was 1986 when his 20.5 sacks, 105 tackles and two forced fumbles earned him the MVP award. Well, if this was a list of greatest receivers, of course Rice would be a lot higher. But that's not to discredit Rice as a playmaker because he was clearly one of the best at catching the ball in stride to race untouched into the end zone. Rice retired with virtually every record worth having. The NFL's original playmaker during the 1930s. Hutson is often credited with the invention of pass patterns. Hutson routinely lapped the competition during his playing days and led the league in touchdowns in nearly every season he played. Coaches designed defenses around him and Hutson still managed to set nearly every receiving record -- records which stood for decades. I'm not sure "jukeability" is a word (and Microsoft Word says "no" in the form of that red squiggly line), but it is what defined Sanders during his NFL career. No other runner could appear pinned down in one moment and then be running 60 yards the other way for a touchdown quite like Sanders. Brown led the NFL in rushing in eight of his nine years, and then retired as the all-time leader in the category. Brown's best season came in 1963 when he rushed for 1,863 yards (6.4 yards per attempt) and scored 12 touchdowns. Although his 1,544 rushing yards and 17 touchdowns in 1965 were pretty good, too. The amazing thing about Brown is that he rushed for 5.2 yards per attempt during his entire career. Well, he is "The Playmaker." The one and only! And it's birthday. And you saw how physical he could get with defensive backs during his playing days, right? Well, I have to walk the halls with him, so he is going to be the top spot in my list.